This year’s Atlantic hurricane season, which officially ended Friday, generated only a slightly above normal number of storms, but just two cyclones did billions of dollars worth of damage to the U.S. mainland. “The season overall was slightly above normal, with 15 named storms, 8 hurricanes and 2 major hurricanes,” tweeted Colorado State University meteorologist Philip Klotzbach. On average, the Atlantic Ocean basin sees 12 named storms, six hurricanes and two major hurricanes, according to Klotzbach. Atlantic hurricane season, which starts in April, got off to a quiet start with no major hurricanes forming until Hurricane Florence in mid-September. Florence reached Category 5 strength at sea, but quickly weakened before making landfall in North Carolina. However, Florence slowed as it hit the Carolinas and dropped record amounts of rainfall over the region, causing catastrophic flooding for weeks. A total of 51 deaths were attributed to Florence. Hurricane Florence caused upwards of $30 billion worth of economic damage, according to an Accuweather estimate. Should that be the case, Florence would be the second-most damaging hurricane to hit the Carolinas. 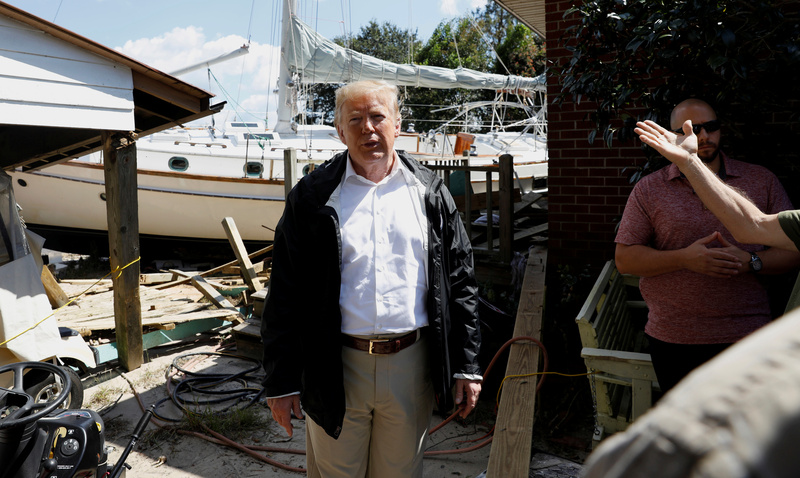 U.S. President Donald Trump participates in a tour of areas damaged by Hurricane Florence in New Bern, North Carolina, U.S., September 19, 2018. REUTERS/Kevin Lamarque. Hurricane Michael rapidly developed in the Gulf of Mexico several weeks later, hitting the Florida Panhandle at near Category 5 strength. Michael hit the coast with 155 mile-per-hour winds and massive storm surge. Michael, the most powerful storm to strike the Panhandle on record, devastated Mexico Beach and left more than 40 people dead. Michael could have also done upwards of $30 billion worth of damage, according to estimates, including around $8 billion in insured property damage. 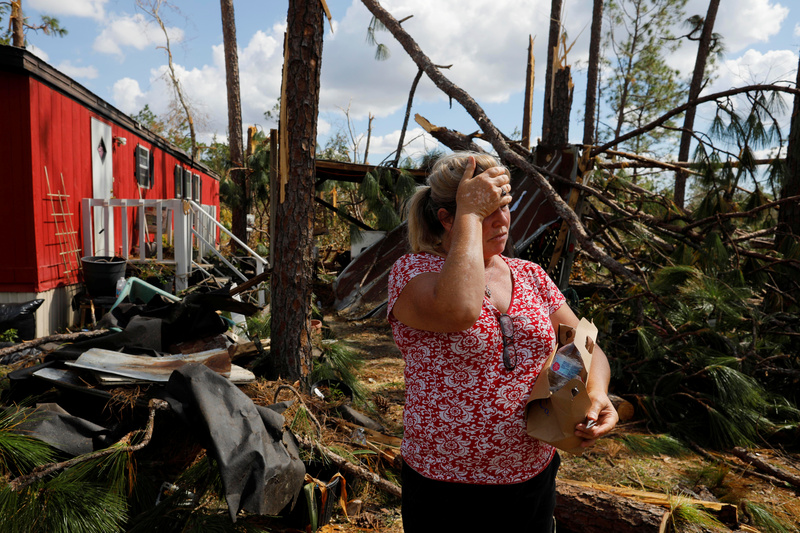 Hurricane Michael survivor Yvette Beasley stands in her front yard during a wellbeing check by a 50 Star Search and Rescue team in Fountain, Florida, U.S., October 17, 2018. REUTERS/Brian Snyder. Despite the two damaging hurricanes, the 2018 Atlantic hurricane season was only about half as intense as the 2017 season. Last year’s hurricane season saw three powerful hurricanes — Harvey, Irma and Maria — hit U.S. territory and cause billions of dollars worth of damage.